You can burn calories doing a variety of daily activities. Cleaning the house, painting or gardening are activities around the home that can help you burn more calories than you consume. The number of calories you burn is calculated primarily on your weight and the amount of time you spend on any particular activity. If you weigh 155 pounds and spend 30 minutes mowing the grass by hand, you burn 205 calories. If you weigh 185 pounds and spend 30 minutes mowing, you burn 244 calories. Burning calories at this rate is faster than a 30-minute session of volleyball or kayaking. 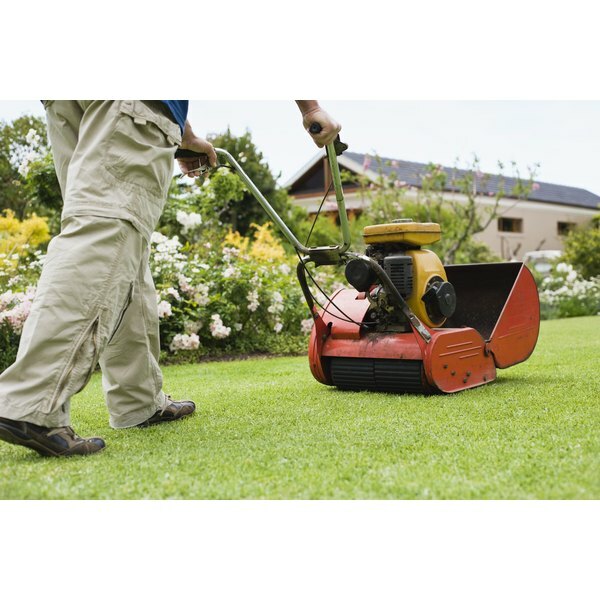 You can still burn calories using a power mower. If you weigh 155 pounds, you burn 167 calories every 30 minutes. If you weigh 185 pounds, you burn 200 calories. Once the mowing is complete, you can finish off the gardening workout by raking the lawn. If you weigh 155 pounds and again spend 30 minutes on this activity, you burn 149 calories. If you weigh 185 pounds, you burn 178 calories. This is the equivalent, based on the same time period and starting weight, of a horse-riding session, according to the Harvard Medical School.